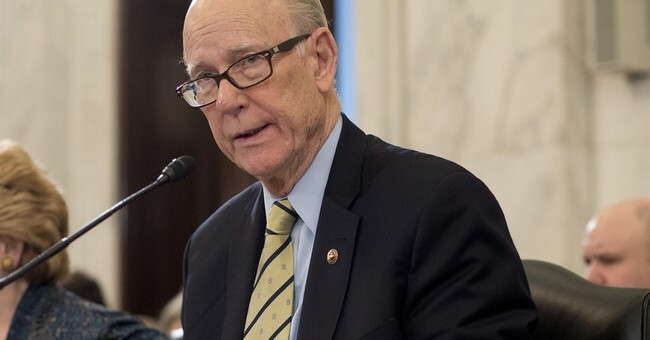 Senator Pat Roberts announced today that he will not be seeking reelection in 2020. The 82 year old senator from Kansas has served since 1997. The longterm senator is most known for his advocacy work, while in the U.S. Senate, for the nation’s farmers and agriculture industry. More recently the senator faced backlash after siding with Democrats to protect food stamps for low-income Americans and fighting for the passage of what would be an expensive farm bill, if signed into law. In a booklet from Sen. Pat Robert's office, you can read a timeline of all his accomplishes. It is noteworthy to mention that this retirement comes weeks after another bipartisan GOP senator, Lamar Alexander, declared he would not seek reelection in 2020 either. While the seat will become open, Republicans will be favored to hold Robert’s Senate seat in 2020. Reports indicate that Rep. Roger Marshall might be eyeing the seat while his chief of staff stated to Politico that he is "seriously considering" a potential 2020 run. Rep. Roger Marshall, who represents Roberts' former House district, has been actively considering a run if the senator declines to seek re-election. "Since the moment speculation of Senator Roberts' retirement began, Dr. Marshall's phone has been ringing," Brent Robertson, Marshall's chief of staff, said in a statement. "It's safe to say that while Dr. Marshall is seriously considering it, he is dead set on making sure we get border security funding to the President's desk first. Until then, I don't anticipate any type decision on a Senate run taking priority." BREAKING: Senator Roberts will serve remainder of term and will not seek re-election in 2020. The senator will be 84 years old by the 2020 election.